Family relationships matter for pastoral leadership. The character of a leader is of profound importance to the God of the Scriptures, and so he lists, out of all the potential qualifications for a pastor, the importance of his relationship to his family. How a man treats his wife and children evidences, among many things, his humility, patience, compassion, care, and overall leadership ability. The qualifications of an elder can be broken down into three categories: family life, personal character, and ministry of the Word. A brief exploration of each will serve us well. We’ll begin with the pastor’s relationship to his family. Among this first category Paul focuses on two aspects of family life that need to be observed and noted with regard to potential elders: marital fidelity and parental oversight. How a man relates to his wife and how he relates to his children will help determine whether or not he is qualified to serve in pastoral ministry. The home is like a little church, and if a man can’t oversee the one well he won’t oversee the other well either. Both warrant some attention and so we will take two blogs to explore each in some detail. Polygamy was certainly a problem among the Jews of the New Testament era. Several historical documents evidence this, including several laws written to try and correct the issue. The fact that there were several laws evidences the problem’s persistence. The question at hand, however, is whether or not this law is intended to exclude polygamy solely or sexual infidelity more broadly. There is a parallel phrase found in 1 Timothy 5:9, which refers to a widow who was the “wife of one man.” Since polyandry, a woman with multiple husbands, was never tolerated among the Jews or Romans the phrase cannot be a reference to such practices. Its parallel structure to “man of one wife” leads us to a reasonable conclusion that the phrase must be broader than simply polygamy. 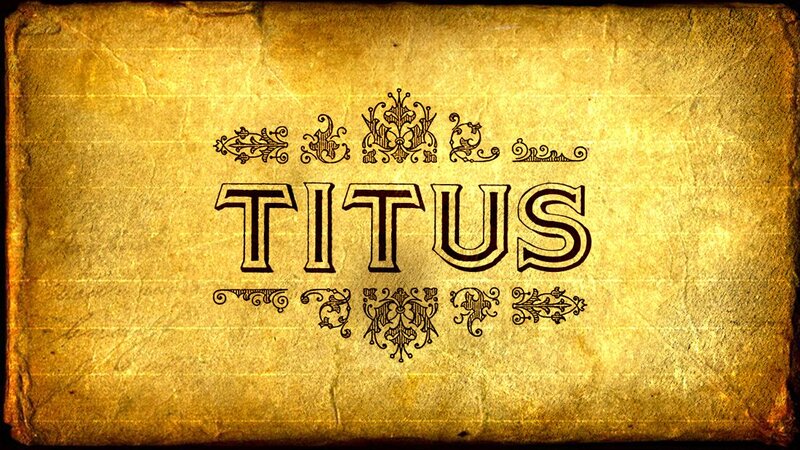 Furthermore, since Titus is pastoring among the Cretans, and it was exceedingly common for Greek and Roman men to be sexually promiscuous, he needed to address that issue more than just narrowly addressing polygamy. a broader interpretation of the phrase, then, could cover both aspects: sexual promiscuity and polygamy. The third potential interpretation disqualifies men for pastoral ministry who have previously been divorced. This interpretation does not, however, take into consideration all that Paul believed about divorce. In 1 Corinthians 7 he outlines that there are clear grounds for Biblical divorce and remarriage. There are cases where divorce is permissible and where remarriage is allowed. “In such cases a brother or sister is not enslaved” (1 Cor. 7:15), writes Paul. There is a type of divorce that would be unlawful and therefore forbid a man from serving as an elder, but this interpretation asks far more of the passage than can be evidenced from its words. The best explanation for the meaning of the passage is that a husband should be relationally and sexually faithful to his wife. Marital fidelity is a standard for pastoral ministry. If a man is flirtatious, promiscuous, or engaged in any form of sexual immorality he is not qualified. Does this mean that men who struggle with lust are disqualified from ministry? No. Lust is a common temptation for all men and women. If he confesses his temptations, is held accountable to it, and does not indulge in sinful behaviors then he is still eligible for ministry. The key difference is between the temptation to sin and giving in to the sin. Jesus himself was “tempted as we are” in “every respect.” Temptation and sin are not the same thing, and we can recognize this even as we seek pastoral candidates. It is important to wrestle with this phrase. There are far too many pastors who have disqualified themselves from ministry because of marital unfaithfulness. News stories circulate nearly every month on celebrity pastors who have disqualified themselves because of affairs, adultery, or other sexual sins. It is important that the church remind itself of this important standard. For the sake of our pastors and our churches we need to keep this principle before us. Marital faithfulness matters for pastoral ministry. « How Do I Trust My Spouse After Adultery?